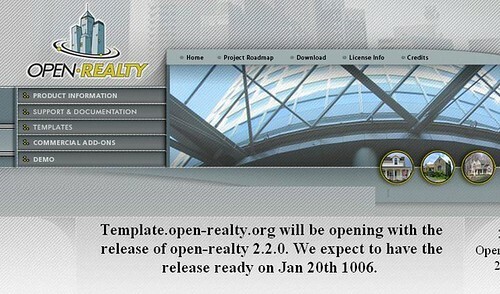 I’m working on a real estate website for a client, using Open Realty for content and listing management — and I’m not liking it too much. (Refer back to my entries on “horrific CMS interfaces.”) It works fine out of the box if you’re okay with the “Trapper Keeper Design for Dummies” gumdrop look, and after removing a few pages of pre-inserted data (mostly introductory copy on Open Realty, in case you didn’t know what it was before you installed it) and a dummy example home listing, specifically the White House. Note the date. It’s been a long wait for some O.R. users, I guess.